Nearly 4000 student journalists from around the world competed in writing competitions last weekend at the Seattle Convention Center. Students heard guest speakers, received expert criticism, and networked with other high school and college journalism departments. produces the school's yearbook. 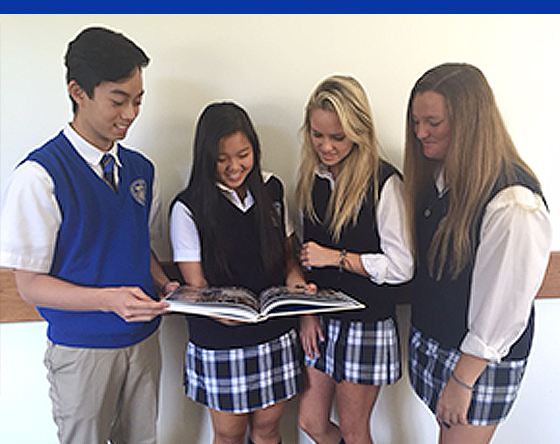 All students will receive a yearbook, and a $100 fee will be automatically deducted from their tuition accounts on November 15. If you do not wish to receive a yearbook, you must opt out by completing this form on or before October 12. Approval of the Yearbook Advisor is needed for membership. Enrollment is usually held in the spring when students register for classes.